I like to see how different people respond to art; it gives the artwork a fresh dimension in my eyes. 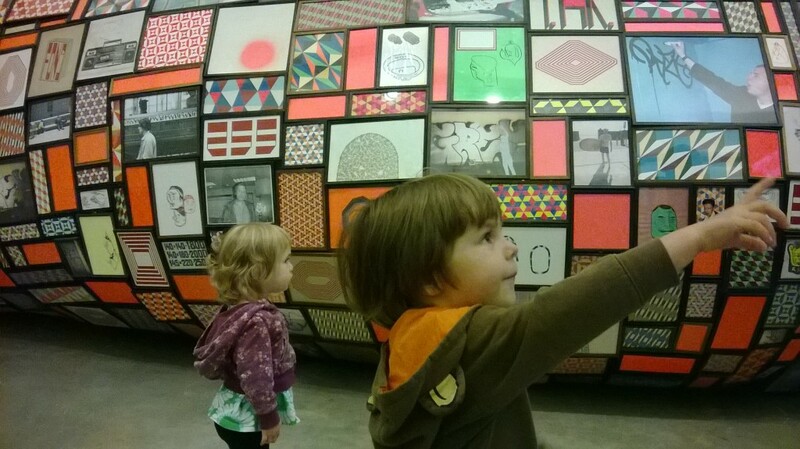 Here, I’m taking in Barry McGee’s show at the ICA last year with some young art aficionados. They were taken with the video installation, but of course my mind was focused on the process of hanging the framed artwork.